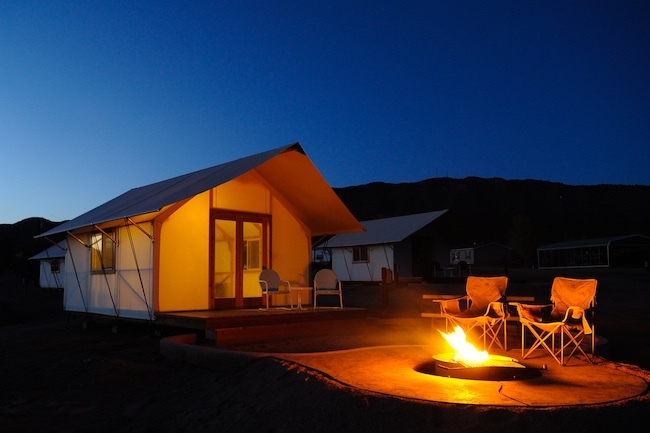 Aramark Leisure, a company that operates lodges, resorts and recreational activities at U.S. National and State Parks, is watching millennials and their camping habits. This age demographic, between 18 and 35, made up half the one million households that went camping last year. These younger campers, it seems, want their cake and eat it too. So campgrounds are accommodating them. 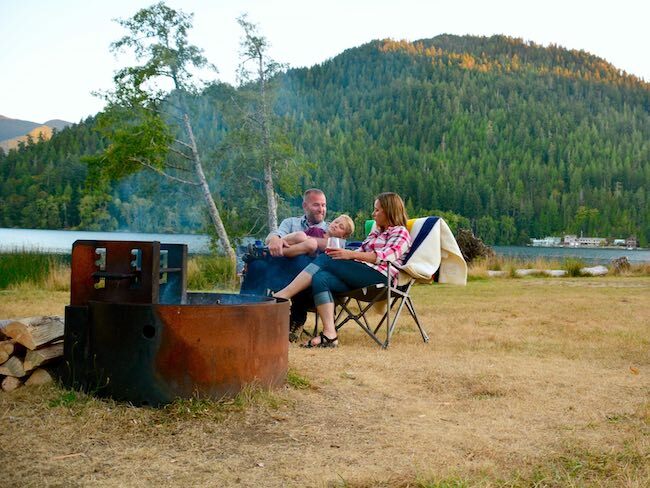 Here are a few campgrounds with upgraded amenities—from free Wifi to designer tents. Purists can stop reading now. 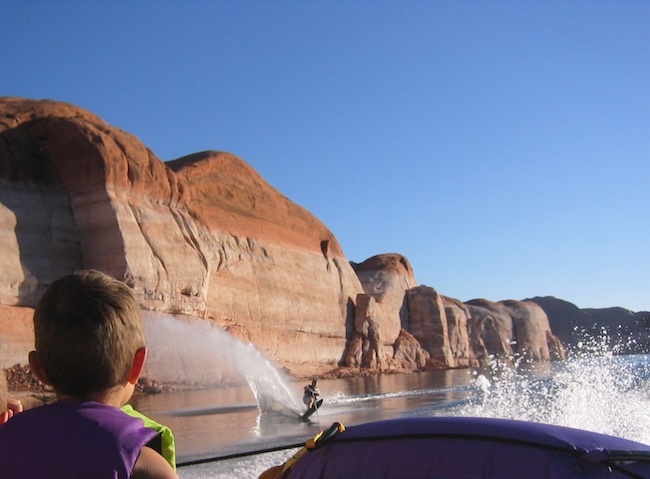 Lake Powell is about as remote as you can get. At the Wahweap Marina RV and Campground, Aramark installed a free Wifi network so campers can connect to the outside world while at the same time escaping from it. It’s a dicey connection, though, due to location, usage and weather. 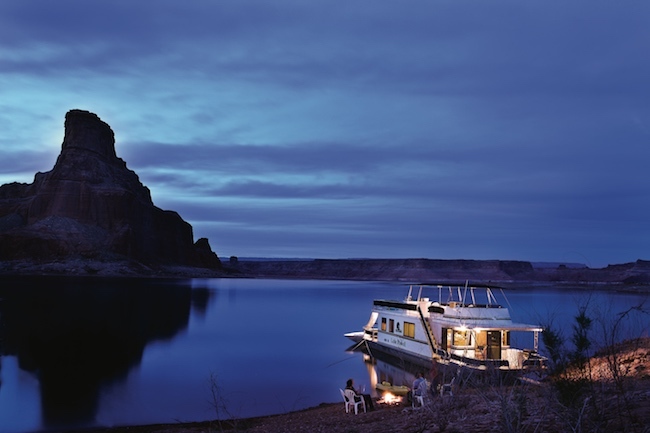 If it doesn’t work here, you can also get online in the Lake Powell Resort lobby. Could be a life saver in an emergency. Also offering free Wifi, Log Cabin Resort in Olympic National Park in Washington has coin-operated washer and dryer and a comfort station with toilets and showers. When you get tired of campfire cuisine, there’s a restaurant, deli and general store. 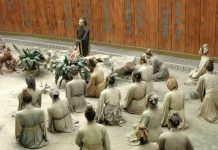 How about a massage and a soak in the hot springs after sleeping on the cold, hard ground? 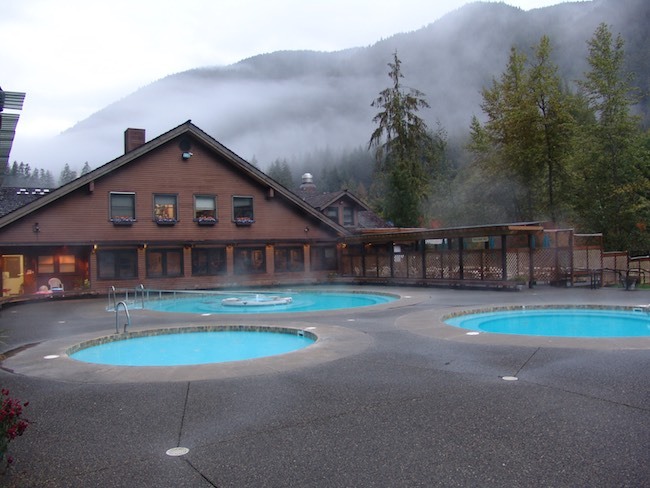 You can get both at Sol Duc Hot Springs Campground also in Washington’s Olympic National Park. The resort features three hot mineral-spring pools, plus a swimming pool with poolside deli and massage therapy. 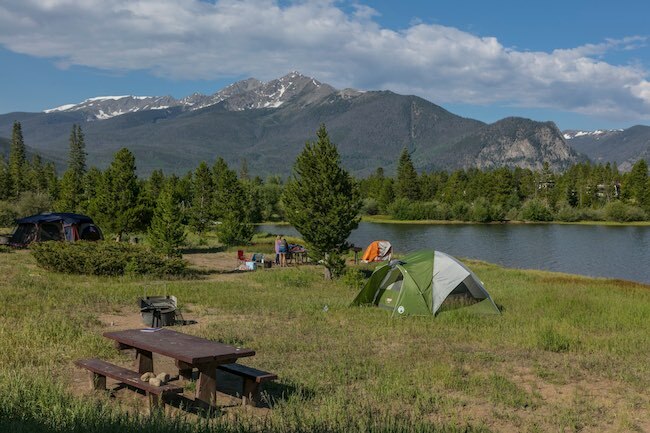 In the heart of Colorado’s Rocky Mountains, Peak One Campground sits off the shores of Dillon Reservoir in the shadow of Ten-Mile Range. 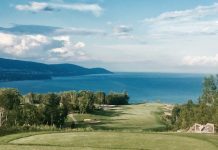 Besides boating, there’s fishing, biking and hiking in the immediate area. Rainy day? Take the kids to the Silverthorne Recreation Center 5 miles away. Then Treat yourself to excellent restaurants in the mountain town of Frisco or an outdoor concert at Dillon’s Amphitheater. 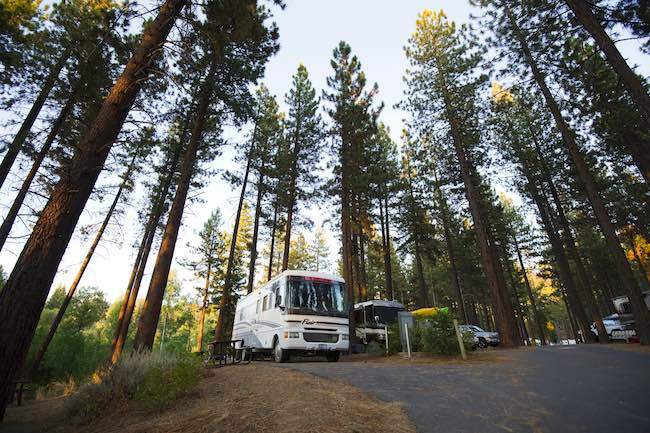 At Zephyr Cove Campground at Lake Tahoe in Nevada, you can have the best of both worlds. Camp in the forest of tall trees for a true outdoor experience. 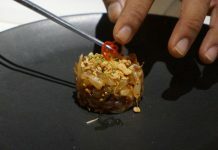 Then, if you tire of the smell of pine trees and smoke from a crackling campfire, sneak into South Lake Tahoe nearby for some big time nightlife. For more entertainment, the RV campground offers cable hookup for your TV. 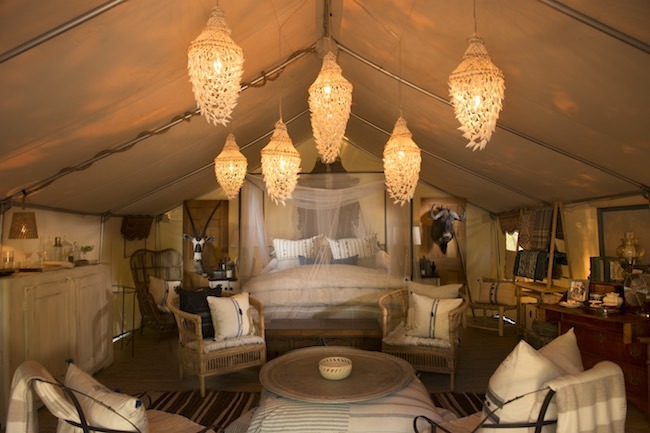 In Kennebunkport, Maine, Sandy Pines Campground features 12 Safari-style glamping tents as lodging options (starting at $174 per night). 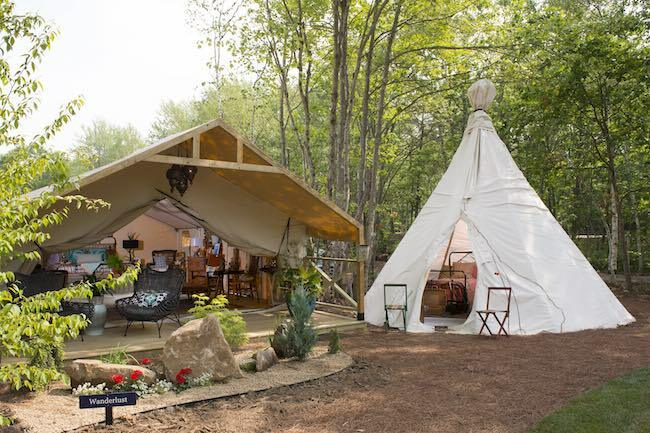 New England designers created the one-of-a-kind 16′ X 24′ tents complete with beds, furniture, lighting and decor. There are also sites for traditional tents in case this is too much glamp. Teepee for the kids comes with this family campsite. A kids’ activity center and social events like lobster bakes and live music create a friendly atmosphere in the camp community. Other amenities include Wifi; bike, kayak and SUP rentals; heated saltwater pool, playground and outdoor games. Echo Canyon Campground near Canon City, Colorado is the ideal basecamp for rafting the Arkansas River from family floats to class V rapids. 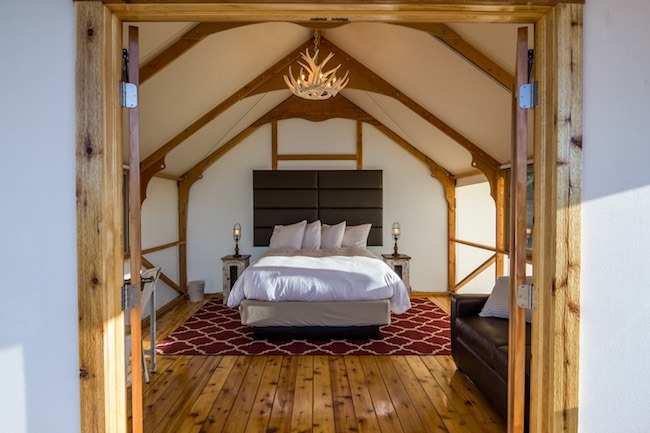 Pitch your own or stay in a glamping tent with queen bed and sleeper sofa. After your exciting day on the river, no need to cook—Chef John Baker takes care of that at 8-Mile Bar & Grill just across the street.